As we push off through the Phoenix Metropolitan Area for a few shows in what has been the driest, hottest few days of out trip so far, our collective minds can’t help but drift back towards home. I want to share a tune with you today that has tremendous magic powers. ‘Do You Know What it Means’ has been played many, many times – over 40 artists have recorded a version since it was written in 1947. The original version was played by Louis Armstrong and sung by Billie Holliday for the movie “New Orleans”, which came out in the same year. I think my personal favorite is the All-Louie version (find it here if you ain’t heard it yet). He sings his New Orleans to you from across time and space, wormhole-ing you straight to the French Quarter every listen through. However, this song is special regardless of who is behind the mic. Apart from a great set of trad changes in the A section, a wonderfully organic modulation at the bridge, and poetic lyrics that practically paint a picture in your mind, there’s still something else that makes this song special. See, everyone’s New Orleans is a little bit different. Nobody has walked into the same Canal Street twice. 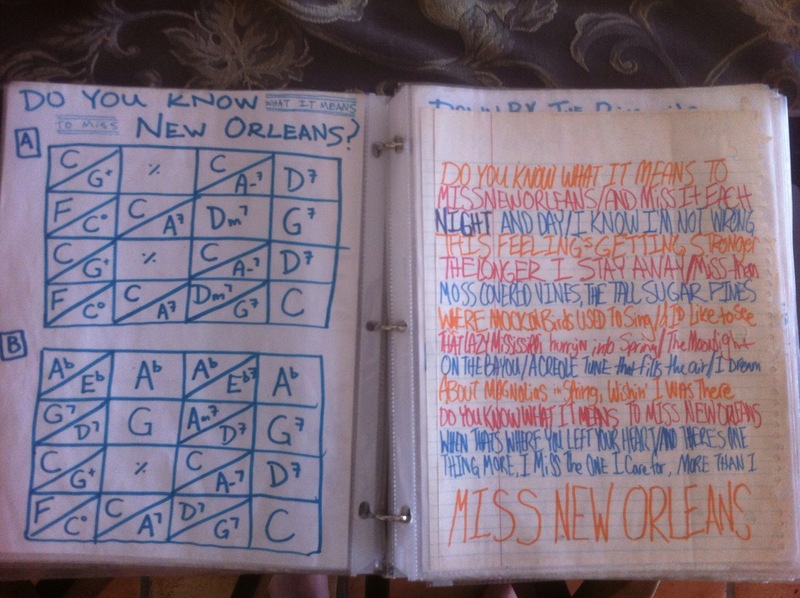 As such, this song gives everyone a slightly different vehicle to show their New Orleans to the world. You can’t sing this song without closing your eyes and reflecting on what that beautiful, busted up city means to you. And that, friends, makes for a powerful, poignant 4-7 minutes of musical expression. As wth all of the ‘tunes from…’ posts, I encourage you to spend some time with these changes and words. This time, however, the exersize is not one of technique but of soul. Find that place this song takes you. It could be uptown or downtown, mid city or central city, anywhere in between – just find wherever it is this old New Orleans ballad brings you, and show that place to the world. Sometimes, our most meaningful adventures remove us not from our chairs, but from our bodies – even if only for a moment. Tonight we hit the stage after a few days of recovery and rest. Come find us in Prescott this evening at the Prescott Center For The Arts. We hit at 7pm and tickets run $20 for an evening of merriment, joviality, ruckus, and din. Come out, bring friends, and let us show you our New Orleans.